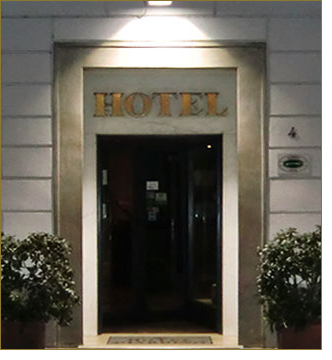 Hotel Giardino is situated in the historical centre of Prato, a quiet, tranquil pedestrian area that is nonetheless easily accessible to our guests with automobiles. Prato is a city rich in history and lies in the heart of Tuscany. Hotel Giardino stands in the very same vicinity as the first historical parish of Saint Stephen. During the Lombard era the first inhabited settlement was established and it became a free city state in the twelfth century. Hotel Giardino was founded toward the end of the eighteen hundreds, and has been run by the Fiesoli – Risaliti family since 1935. Situated at the beginning of Via Magnolfi, the hotel’s left side faces the Piazza del Duomo square where Saint Stephen’s Cathedral stands. The Cathedral is an admirable example of gothic-romanesque architecture whose façade is decorated with a beautiful pulpit by Donatello. Inside the Cathedral frescoes by Paolo Uccello and Filippo Lippi can be admired not to mention the Madonna by the da Maiano brothers. Prato’s Porta al Serraglio railway station serving the Florence . Viareggio line is but only a few metres from the hotel, as well as the central bus stop serving all major routes, including Florence. For guests arriving by car, Hotel Giardino provides reserved parking in the vicinity and can also arrange for parking in a parking garage. Over the years we have created a comfortable, welcoming environment here at Hotel Giardino. As a matter of fact we tend to believe that our guests’ loyalty and repeat business is no coincidence at all. We like what we do and that is probably one of the reasons why we are still here. We are also lucky; the position of Hotel Giardino allows our guests to spend their free time shopping, visiting and enjoying Prato’s charming thirteenth century historical centre, as well as sampling the exquisite Tuscan cuisine in some of the finest restaurants which our staff is more than happy to recommend. Prato is also a modern city. Development of the textile industry started in the middle of the nineteenth century bringing about remarkable economic, urban, and demographic growth which gained momentum in the 1950s. The city limits extend to three areas: the Business District in Prato East, right off the motorway exit; the Industrial District; and the mainly residential historical centre which is still surrounded by the original fourteenth century city walls. It is exactly here in the historical centre, a mere stonesthrow from Hotel Giardino, that many of the architectural and artistic sites are found, including the local theatres, the Textile Museum, the Civic Museum, San Domenico Church (with paintings by Thirteenth and Fifteenth century Masters), the church of Santa Maria delle Carceri and the Castle of Emperor Federico Barbarossa (the only example of Swabian architecture in the north of Italy), to name only a few. A prime example of the economic and cultural development of Prato and the veritable “jewel in the crown” of the city is the “Luigi Pecci” Centre for Contemporary Art. Situated in Prato East, the “Luigi Pecci” Centre for Contemporary Art was founded in 1988 and houses a permanent collection exhibited on a rotating schedule. It also offers a wide range of programmes, temporary exhibits and educational activities.